22MILES, Inc. was determined to empower the digital audience to experience content on a mobile phone with no App download necessary. 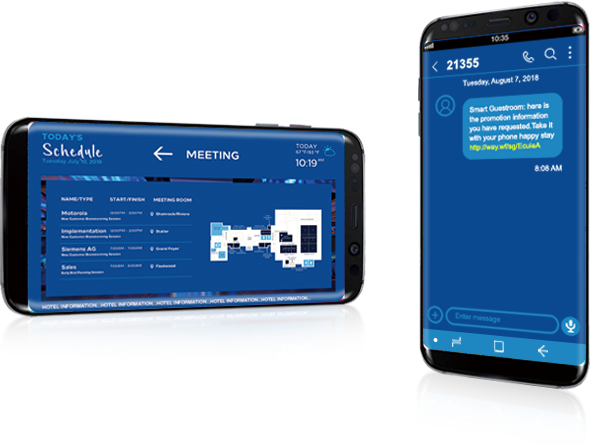 In result, we created Carry2Mobile™ as a new capability that benefits both the display owners as it leads to higher usability and the end user as it is now much more seamless to consume content on the go. 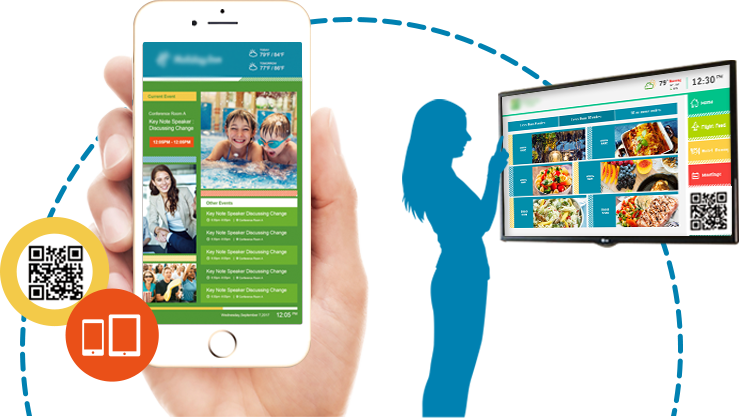 Carry2Mobile™ uses HTML5 technology to seamlessly transition the user experience from a digital sign to a mobile device’s web browser. Most organizational apps are a corporate based general info app, not a property specific editing app. Creating a unique, local app is one of the unique differentiators with 22MILES’s HTML5 features. We have the potential to work within branding standards and API integration with required corporate content. 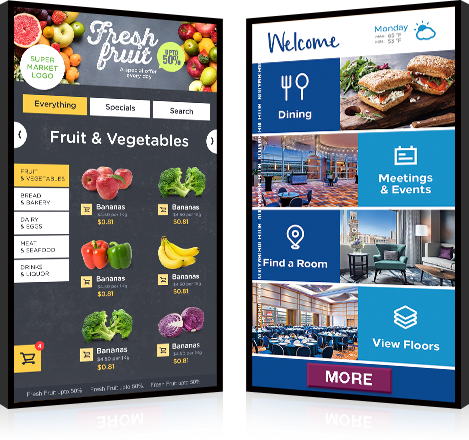 Additionally, each property is able to set their own local message, events, POS integrations, menus, and mobile wayfinding from any screen on the go. Each digital passive screen, or each designed slide has a unique code for user to scan or text for more information. 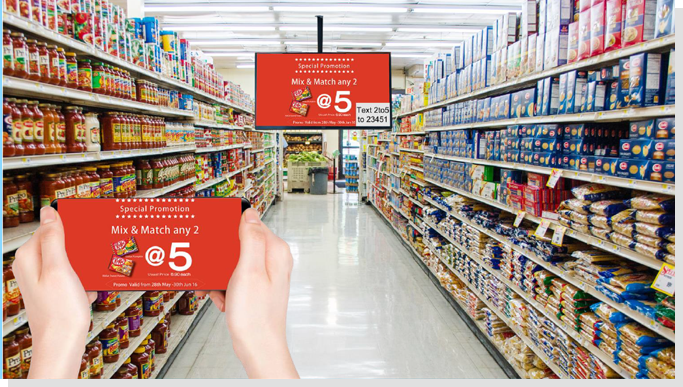 ※The Solution can be placed on any traditional signage, any digital AD or promotional displays or video walls. Track user engagement for any button clicks, sessions, impressions, AD playback, daily transactions and more. 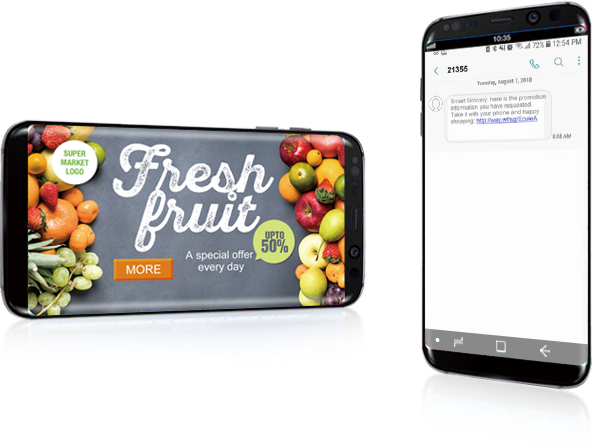 HTML5 based interactive mobile experience generating digital engagement which extends smart retail information from kiosks, AD screens or even printed signs. 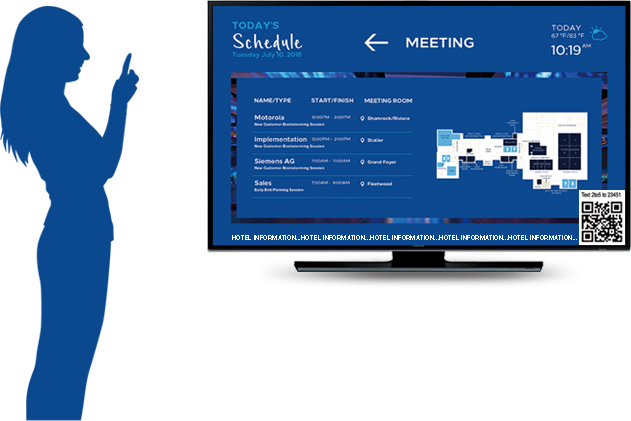 Auto-Sync any POS solution to a digital menus or interactive application. Reduce perceived wait times with entertaining imagery, AD suggestions and integrated social media. Support for proximity based & promotional based content in real-time. A simple text message carries a link to open same information on user’s mobile phone. 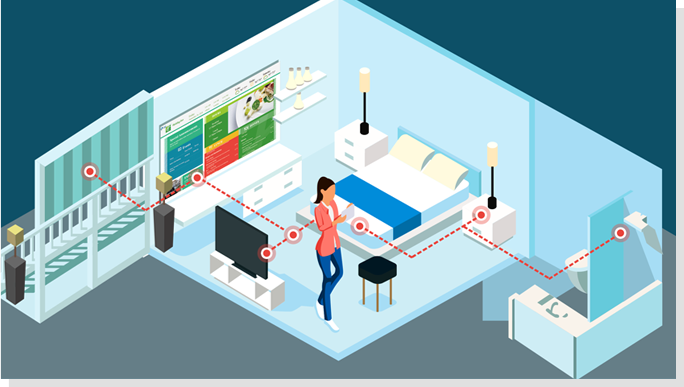 The Link can trigger either a web based interactive slide, or additional content designed to get more touch points off the consumer. Add another trigger point such as a “MORE" button to really get them excited to learn more, and once they do you can immerse them in an entire User Experience that is designed through our Publisher Pro with HTML5 design controls. Each hotel room guest TV screen, or custom hotel slide, has a unique code for user to scan or text for more information.